You know how some movies have roles that were written specifically for their actors? Sometimes it's after regular collaborations, other times it's who the writer aspire to see in that role. Most of the time the intended actors don't accept the role but there are those few exceptions. But what is The Hero about? It follows out-of-work Lee as he interacts with family and friends, tries to get a gig, and comes to terms with a cancer diagnosis. Admittedly it has many tropes we've seen countless times before (Lee's estranged from his daughter, has a fling with a younger woman) though Elliott more than makes up for them. Much like what he did with Blythe Danner with his previous film I'll See You in My Dreams (where Elliott has a supporting role), Haley provides a solid role for Elliott to sink his teeth into. 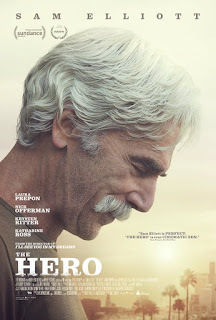 After decades as a character actor, it's nice to see his name first and foremost on the poster. 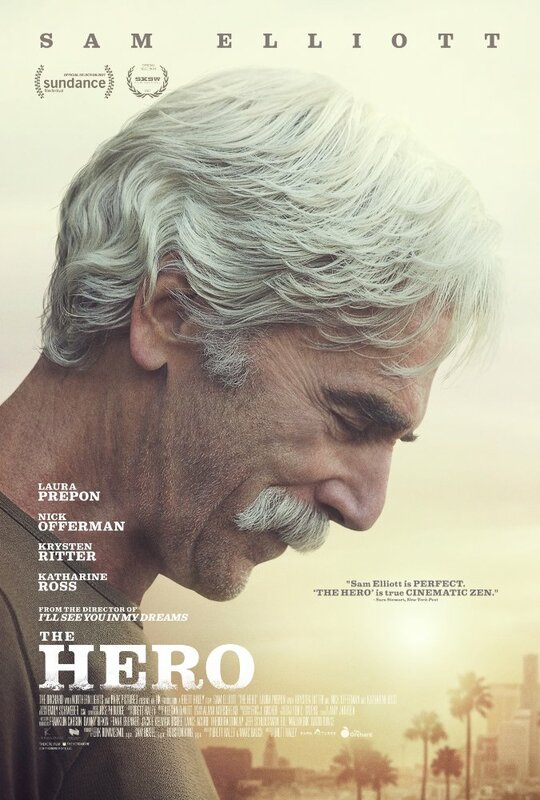 The Hero follows the usual conventions found in similar works but maintains solid material for its lead. As he did with his previous film, Haley has an actor of a certain age get their due as a performer. And as this and his previous film have proven, he'll be around for some time. 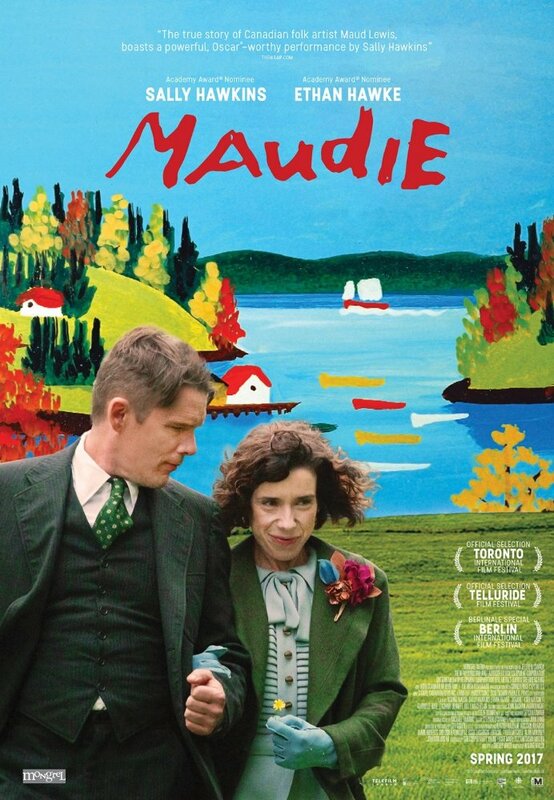 Aisling Walsh's Maudie chronicles the life and work of Canadian folk artist Maud Lewis (Sally Hawkins). From her tumultuous family life to her emergence as a painter, she faced a lot of heartache during her time on this earth. But even with the odds stacked against her, she managed to find happiness for herself. Also part of the film's story is Everett Lewis (Ethan Hawke), who later becomes Maud's husband. His first scene establishes him Everett's temperament, one of quick frustration and rough assertion. It's clear that he's a person who requires someone of immense patience for long stretches of time. And Maud could very well be that someone. Both Hawkins and Hawke (heh) show in Maudie their worth as actors. They're recent Oscar nominees, yes, but both were in the supporting categories for Blue Jasmine and Boyhood, respectively. Of course, they've carried films by themselves before (Happy-Go-Lucky and Born to Be Blue, for instance) but this film proves they should be given starring vehicles more often. 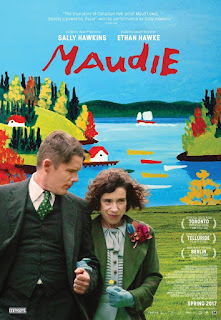 Maudie has some bumps in the road but it remains modest in depicting Lewis' professional and private lives. Hawkins and Hawke further their profitability as they portray these forgotten figures in Canadian culture, and hopefully this won't be the only time they partake in such character types. How does one do comedy in a smart manner? In this day and age, it's almost impossible to make one. (We as a society have become reliant on the same formula for this genre as a whole, and only a few have objected to it.) And more often than not, the ones that stand out in recent times don't hail from the United States. Suffice to say Fiona Gordon and Dominique Abel's Lost in Paris falls into such a category. After being beckoned to Paris for the sake of visiting her aunt Martha (Emmanuelle Riva), Fiona (Gordon) has bad luck follow her the moment she arrives. And the introduction of vagrant Dom (Abel) into her life merely adds fuel to the fire. The key aspect of Lost in Paris is its finely timed antics. Whether it's a close encounter just missed or one of its many sight gags, it harkens back to the days of Chaplin and Keaton (or -- to acknowledge where the film's set -- Tati). Slapstick is a dying form of comedy. and this has revitalized it. On a different note, Gordon and Abel seem to have been inspired by Wes Anderson as well. 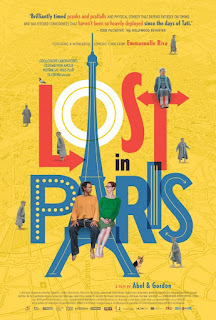 Not so much in the way of the characters (though there's some influence) but rather some of the designs in Lost in Paris. The use of solid colors (and a few of the locations) bear resemblance to Anderson's own films. 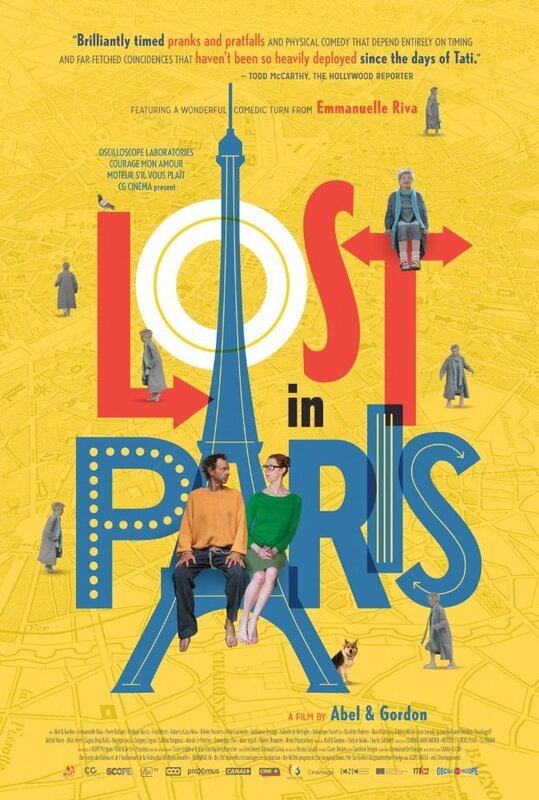 Lost in Paris is an enjoyable little comedy, a change of pace from what Hollywood's been churning out lately. (And usually it's France that releases the dirty stuff.) Gordon and Abel may have been making films for several years now, but hopefully this won't be the last time we see new work from them. Ever since his passing this April, the world of cinema has become a poorer place with Jonathan Demme's presence. Ever since Roger Corman took him under his wing all those years ago, it was clear that his work would endure. Whether it's Oscar-winning fare like The Silence of the Lambs or more undervalued projects like Rachel Getting Married, it was nigh impossible to not like what he offered. But as well as feature films, Demme also dabbled with documentaries. Perhaps the most famous of the ones he did was Stop Making Sense. But it's far from the usual cut and dry filmed account. What the viewer is treated to instead is something for the ages. 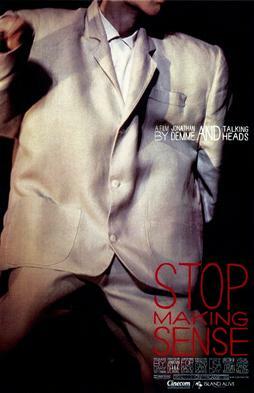 By no means does one have to be a fan of Talking Heads to appreciate what Stop Making Sense has to offer. Sure, one may watch it solely for the music (not that's there anything wrong with that) but in Demme's hands, he makes it feel as though the viewer has front row seats to the band's three-night concert. Also taking into account Demme's other works, Stop Making Sense plays out very much like your standard narrative. It doesn't rely on behind-the-scenes footage or shots of the audience (apart from during the last song); it's all about the show. 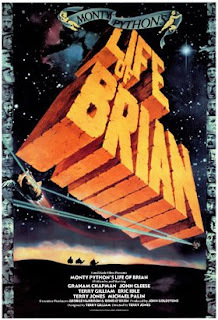 Once one has seen Terry Jones' Monty Python's Life of Brian, they may not be at all surprised that it was met with some scorn. (The last scene is probably the most audacious thing the comedy troupe had put on film.) But at the same time, it provides a surprisingly smart commentary on the hypocrisy within religion. But let's muse on Chapman for a moment longer, shall we? What would've become of his career had he not died from cancer in 1989? Would he have continued with comedy or would he have ventured into more serious material? It's been almost thirty years since his passing but the questions still linger. Anyway, Monty Python's Life of Brian still holds up nearly forty years later. It may be (somewhat) more serious than Monty Python and the Holy Grail but that's possibly because of the group's change in style. As any good comedy can prove, it has to be both progressive and accessible to the masses throughout the coming years. And the Pythons have done just that with their many contributions. Usually when war stories (be they fictional or factual) get the Hollywood treatment, they tend to boil down to these factors: innocence shattered by bloodshed, moments of high tension, and an inability to forget what was witnessed. But nine times out of ten, these tales of battle are led by men. Sure, there are some with women as the focus in such narratives but very few of them have women behind the camera. Hence why Gabriela Cowperthwaite's Megan Leavey stands out. Based on real events, it follows the titular Marine (Kate Mara) as she serves her country. But that's not to say everything is as clean-cut as it sounds. 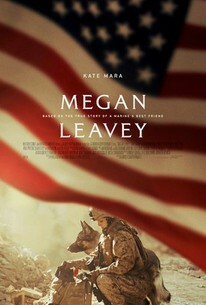 Though it's her younger sister who's become more famous, Mara proves her own worth as an actress in Megan Leavey. Depicting the many plights her character faces both in and out of combat, she follows in the footsteps of many actors before her in capturing feeling perpetually out of the loop. 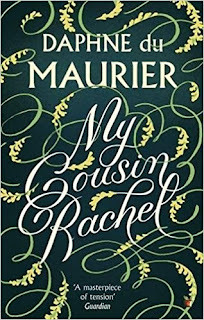 Daphne du Maurier may not be a familiar name to most people but mention some of of her works and then they'll recognize her (more so if they've seen the adaptations of them). Rebecca, Jamaica Inn, The Birds, Don't Look Now...if you want to find thrills from a female author, du Maurier is your best bet. But even then, her works have the tendency to be classified as romantic works. (Perhaps in a similar vein to the Brontës' novels?) The Gothic element there's no denying, and there is passion amid the suspense. However, don't expect it to follow the usual conventions. 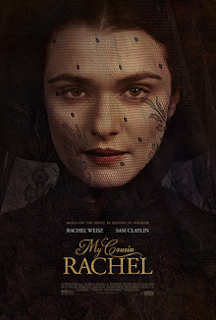 Her novel My Cousin Rachel in particular is an example. Following him in the aftermath of his guardian Ambrose's sudden death, Philip Ashley grows deeply suspicious of his widow Rachel. But once he meets and gets to know her, Philip's doubts about Rachel's character morphs into infatuation. 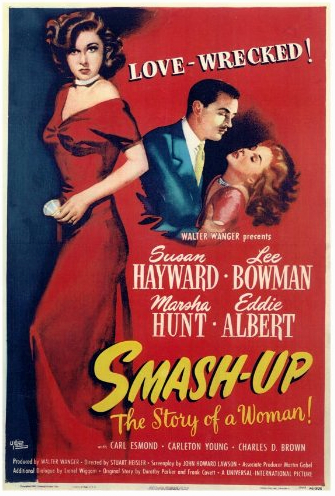 Stuart Heisler's Smash-Up: The Story of a Woman opens at a hospital, focusing on a patient who's heavily bandaged and delirious. The patient is Angie Evans (Susan Hayward), a former nightclub singer. What led her to this situation? The film goes back to when Angie was still working. After marrying rising singer Ken Conway (Lee Bowman), she becomes a stay-at-home mother as his career begins to skyrocket. But in her attempts to appear happy, she slips deeper and deeper into alcoholism. 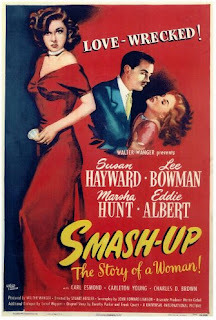 There's an element of truth in Smash-Up: The Story of a Woman, it being loosely based on real events albeit with changed names. The character of Angie was inspired by Dixie Lee, the first wife of Bing Crosby. (Her own career came to a standstill as her husband's took off.) It's almost a miracle the studio didn't face a lawsuit from either Lee or Crosby. As she would do a few years later with I'll Cry Tomorrow, Hayward shows a very ugly side to alcoholism. With The Lost Weekend still lingering in the minds of moviegoers, she further proved how the alcoholic character is far from the comic relief commonly seen throughout the previous decade; it's a frightful ailment millions of people are afflicted with.